We offer 7000 square feet of event space. 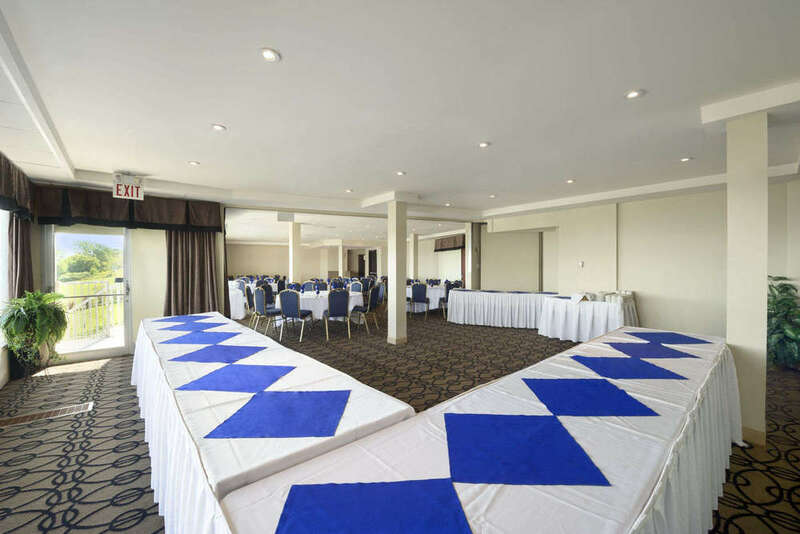 Including four meeting rooms, which can be arranged to accommodate up to 300 conference guests or 300 banquet guests. This hotel offers spectacular views of Lake Ontario and great sunsets. © 2019 Copyright RAMADA BEACON HARBOURSIDE HOTEL.